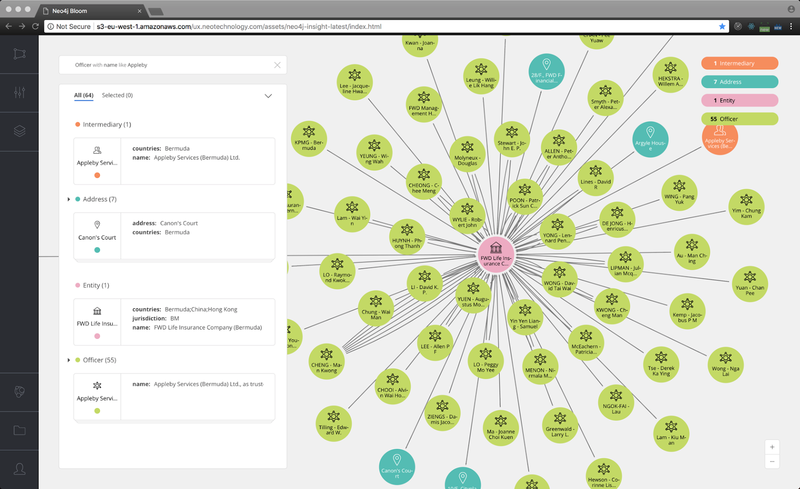 The Neo4j Graph Platform is growing: Data discovery and visualization are easier than ever with the addition of Neo4j Bloom, and with Neo4j 3.4, the core graph database now supports Multi-Clustering, new data types and stronger admin tooling. Neo4j Bloom helps traditional Neo4j users communicate with their non-technical peers and executives in a simple manner. Bloom reveals and explains the concepts of data connectedness for people who may not naturally think that way. Prerequisites: Neo4j Bloom requires access to a running instance of Neo4j Enterprise Edition (local or networked) as well as a Bloom license attached to that server instance. If you have any questions about Neo4j, or want to talk to a graph expert about your Neo4j project, we’re here to help.